Let me introduce you to Becky Coady Langton (on right in above photo), a former camper/staff member and now camp parent, who was one of two Camp Woodland representatives on the panel. Becky was a camper for one year as a CIT in 1988 and worked several summers as a cabin counselor teaching gymnastics and anything that involved “jumping around.” She is an exercise physiologist and currently works as an instructor in the Health and Fitness Science Division of Wake Tech Community College in Raleigh, North Carolina. Becky’s two kids, Sydney and Sam, attended camp for the first time this past summer! Becky recalls gaining confidence and the ability to publicly speak as skill sets that were most developed during her time as a staff member. She feels that this pushed her ahead of her peers, many of whom today have an intense fear of speaking in front of others. Becky finds that having the ability to work with diverse experience and talent levels and massaging that atmosphere in way so that everyone is having fun (even if all you have is a paper bag!) 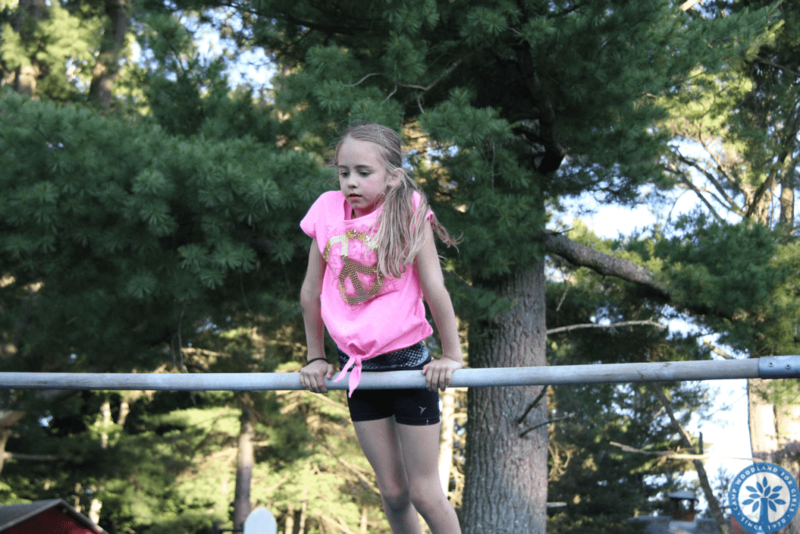 were some of the biggest takeaways from her camp experience. 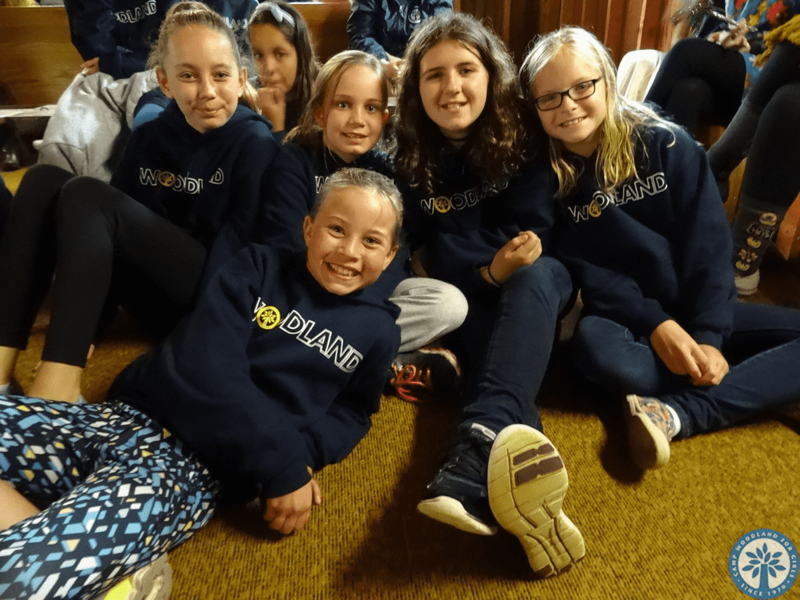 Camp certainly is the stage for learning how to make the best of every situation! Becky teaches about the positive effects of exercise and a healthy lifestyle on longevity and chronic disease prevention. One of the things that speaks to Becky the most about her experience at camp is being active and always doing something. In the health world, physical activity rounds out and provides balance along with the emotional, social, environmental, intellectual, spiritual, financial and occupational dimensions of the wellness model. Becky allows how all of these areas melded together describe the camp experience on steroids! She attributes being at camp on her own without her tribe and THRIVING was a catalyst for her to seek out a career in health science and promotion. So cool! When talking about different aspects of applying for a job, Becky reminded us how important the first phone call can be because this is when the applicant has the opportunity to engage in a conversation with a potential employer and share about themselves. According to Becky, the candidates who do this best find their voice, find their WHY and know in their gut what they want to do and are connected to it. Being able to then verbalize who they are in a way so that the person conducting the interview can FEEL the energy and passion is what helps a person stand out from the masses of job candidates. Becky believes the “amazingness” within each person that fuels this energy and passion grows at camp. Being leaders of crazy and fun and being children ourselves as camp counselors fosters that amazingness! So true! Becky also pointed out how being able to communicate well verbally, utilize active listening and motivational interviewing, and understand nuances such as making eye contact and offering a firm handshake count as social collateral in a world where people are lacking in these areas. 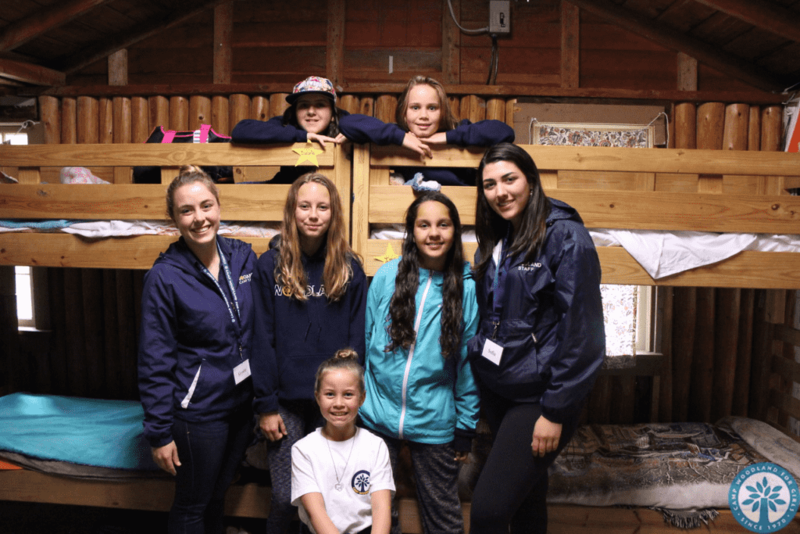 This is another chance for job applicants with work experience at camp to shine because face-to-face interactions and being unplugged are the norm and not the exception. Working at camp nourishes the exact skills that make for a strong candidate in just about any career field! Next up – meet Rachel Davidson in Part 2 of how working at camp translates to the real world!